Let’s be honest, there is nothing quite like a quick and speedy meal is there – I’ve fallen more and more into the trap lately of not really bothering to cook for any length of time, or do anything that takes more than 20 minutes or requires more than minimal effort in the old slow cooker. 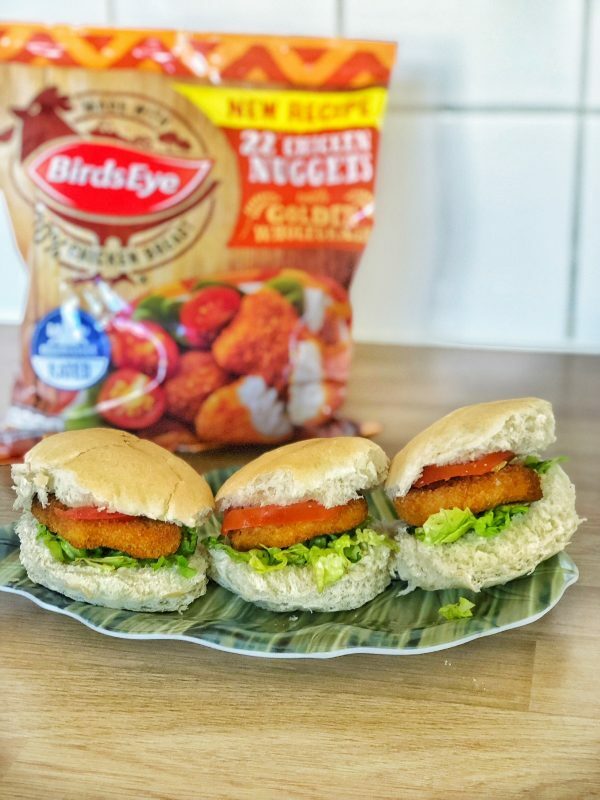 I’ve worked with Birds Eye for years now – it’s a collaboration that long term followers will know and remember (I hope), and creating recipes for a brand was something that I was always intensely proud of. It’s one thing to create your own recipes but to do it for a brand that you really like and for them to trust you with coming up for something that was just a little bit different was fabulous. The recipes were a huge hit, those of you that don’t remember there was my pesto pasta with chicken chargrill, my taco boats with chicken dippers and my cheats katsu curry with breaded chicken. Each one was something different to the stereotype of Birds Eye meals, and we still eat them all on a regular basis because they are done in 20 minutes. All this in mind, when Birds Eye asked me to team up with them again and create 5 recipes this time, I may or may not have thrown myself at them with wanton abandon. There is something about cooking that I miss – a time when I had time to get creative and watching everyone enjoy my food. I could have been a chef in a former life. Honest. Anyway, the recipes – again, these are nutritionally balanced, done in 20 minutes and something a little bit different. I’ve tried to make them as adaptable as possible because gawddd knows that kids can be fussy and the chances are that what mine with devour with relish, yours might not – so take out what you want and substitute if you feel like it. 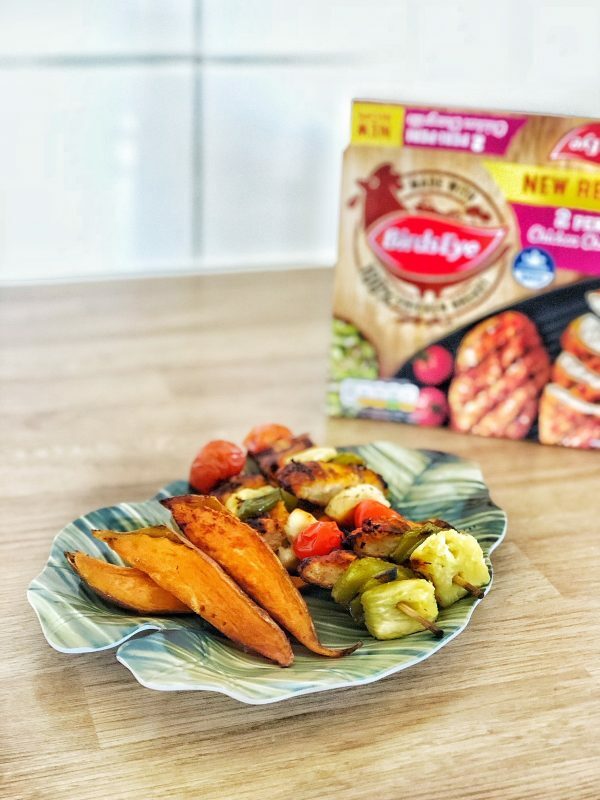 Also – these are a cracking choice for back to school week day meals, there are no artificial colours, flavours or preservatives in Birds Eye chicken (any of the chicken) and all of it is made with 100% chicken breast. I love the idea of exploring colour and flavour with meals. 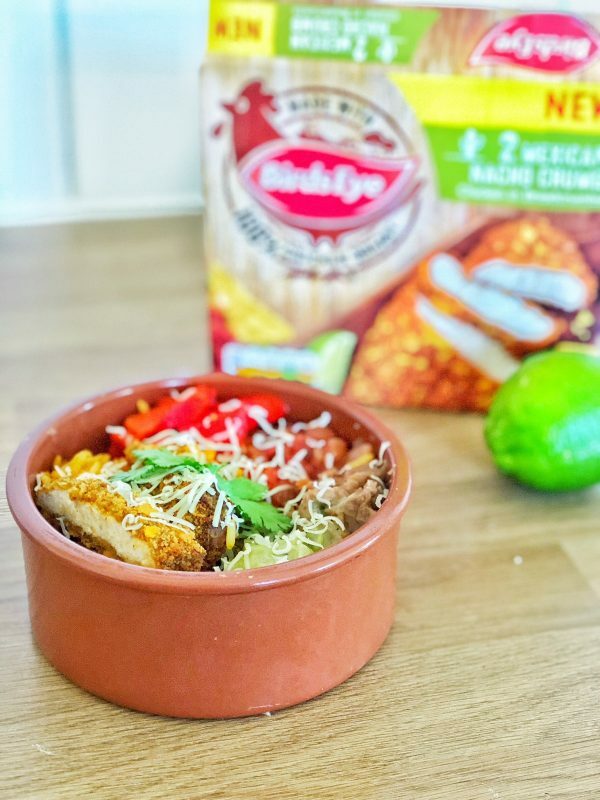 Mexican burrito bowls are really popular at the moment – let’s call them the Katsu Curry of 2018 – and I think this would be a real winner for a tasty and slightly different dinner idea for my children. It’s adaptable – for Reuben I can add in extra sweetcorn and peppers and for Edith I add extra chicken and rice whilst subtly praying that she will heed my threats and eat something that isn’t beige. You could try out different things too – sliced avocado instead of guacamole, make the peppers different colours – whatever, you can play around. Pop the chicken in the oven, alongside the pepper if you are using fresh. The instructions on the packet will tell you how long to cook for and on what heat – this is fine for both the peppers and the chicken. Cook the refried beans according to instructions and boil the sweetcorn (again according to instructions). Lastly, cook the rice in the microwave, again according to instructions depending on brand. If you wanted to go for your own rice then I usually do 1 cup of rice to 2 cups of water in my ricer – it’s super simply and takes 13mins, so still fits in with the quick recipe. To assemble, take your bowl and add the ingredients in separate parts as you can see in the picture – it’s one of the things I like the most about this, Toby really doesn’t like Guacamole, so I can add less of that but even take it away altogether and use sour cream. It’s so simple. a tablespoon of this, a tablespoon of that – whatever is your preference, there are no set portions really with this one, just lots of different flavours. I find that the rule of half a breast for a child, sliced as you can see in the picture, works really well – and a full one for an adult. 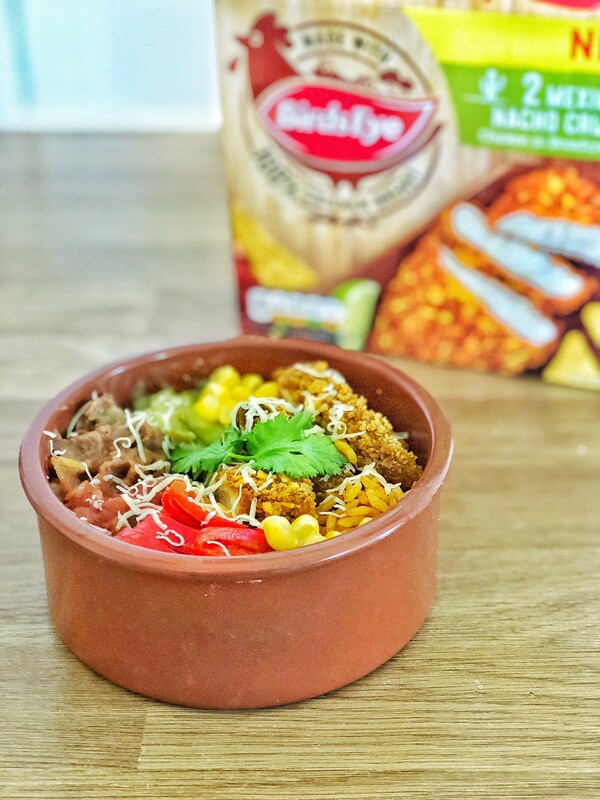 We really like using Mexican rice too as it adds a bit more flavour overall. People make the mistake of thinking that children don’t like flavour. Edith is pretty crap with food in general, but she likes flavour – she will eat marinaded chicken, but I don’t always have time (ok, you got me, I forget – can we move on?) to marinade chicken. I prefer rice noodles over egg, but I’ve found the opposite for the children, both work for this dish so when I’m doing it on my own, I use rice and for the fam, good ole egg noodles. 1 packet of mange tout (I think this is usually around 100g), chopped into 1 inch pieces – you can leave whole but my children don’t like them whole. 2 garlic cloves – I’ve started using garlic paste, you would want 1-2 tsp of this and I honestly prefer it. 1 packet of egg noodles – these are usually divided into sheets with 1 sheet per adult, so again I do half per child. Start off buy placing your chicken in the oven and cook as per the instructions, whilst that is cooking start cooking the veg. I usually start with the spring onions and the garlic and ginger, followed by the carrots and the peppers, lastly adding in the mange tout. Cook for 5 mins until all softening and then add in the soy and honey – add a dash of water to loosen the “sauce” or if you like a lot of sauce, you can add in 100ml of stock. Allow the veg to cook in the sauce for 2-3 minutes and then set aside. Cook the noodles as per the cooking instructions and then add to the pan to toss in the flavours of the veg and soy, ginger and honey sauce. Lastly, slice your cooked Birds Eye chicken and either stir in or arrange over the top of the dish. Toby LOVES meatball sliders so why not take another family favourite and twist it up, it’s beyond easy to do and super simple. 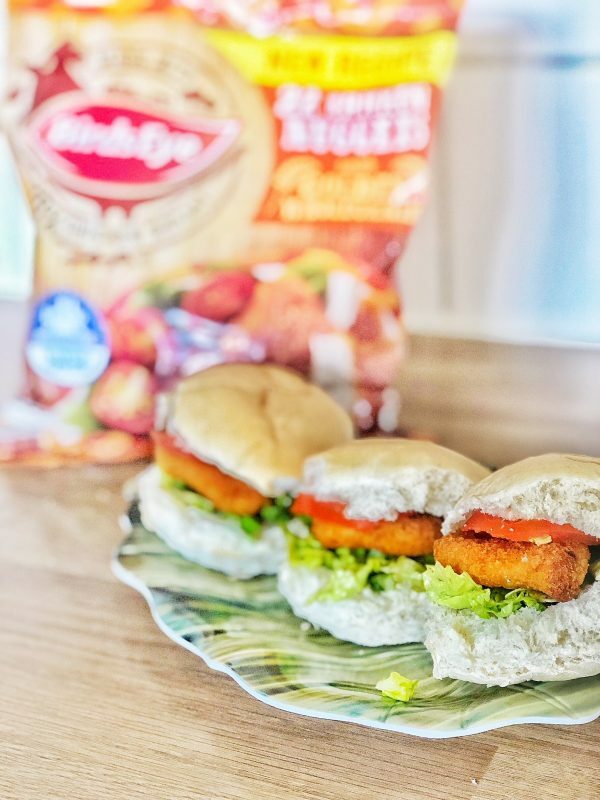 You can serve them alone as sliders (2-3 per child) or you can add in salad or roasted wedges (sweet potato or butternut squash is lush). Cook the wholegrain chicken nugget in the oven as per the instructions, prepare the buns and slice the tomato. Shred a little lettuce – remember everything is done in mini portions here) and then add 1 nugget, 1 slice of tomato and a sprinkle of lettuce to each bun. You’re done. It’s that simple. I usually serve 3 with dips, but there are so many other options! With the popularity of peri peri always on the rise, I think it’s shown families that this isn’t just an adult thing – a very mild dose of peri peri can be enjoyed by all. Skewers were one of the first things that Edith ate as a toddler that wasn’t pasta, chocolate or my sanity. She had satay chicken skewers and I will never forget her little eyes lighting up as she realised her food was on a stick. She thought it was the bees knees – so here we are with these easy peasy skewers. This recipe does take a little bit longer – but it’s still on the table in 30 minutes. Slice the sweet potatoes into wedges, lightly oil and place them in the oven with the chicken. Cook the chicken according to the instructions, then leave the sweet potatoes in whilst you take out the now cooked chicken, chop it into chunks and set aside to cool slightly whilst you get the other ingredients ready. Using skewers (make sure the ends are blunt) layer up pineapple, peppers, halloumi, chicken and cherry tomatoes. 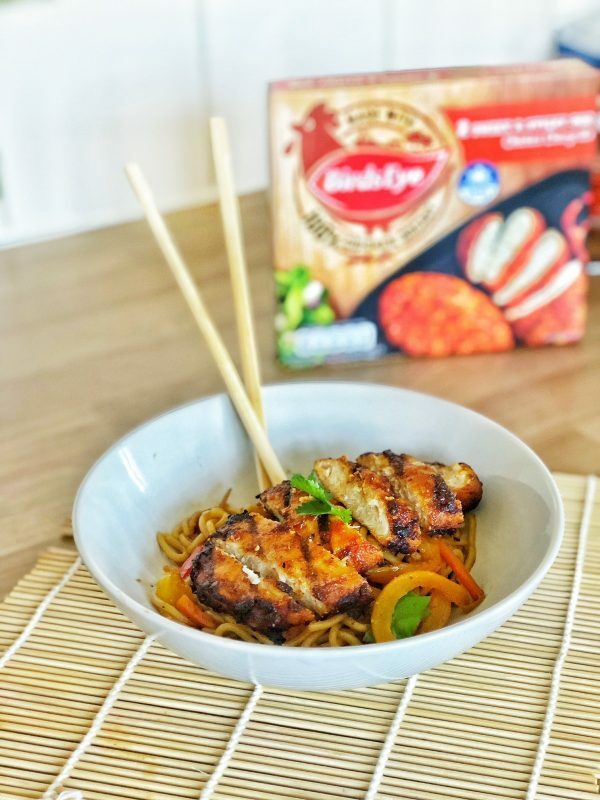 You could change these ingredients if you wanted to, it’s pretty adaptable but I love the way that there is a mix of sweet flavours from the pineapple, salty flavours from the cheese and spice from the peri peri chicken. Pop these back in the oven and leave for 10 minutes. Serve with the wedges on the side. When we were in DisneyWorld the children loved trying mini samples of all the foods around epcot – from Mexican to Japanese, we went during the Food and wine festival, and whilst Adam and I never got the chance to take full advantage, we loved what we did try. We’ve recently done similar with Yo! Sushi who have a new offer for children to try (for free) a piece of sushi, with certificates and stickers for each one – it makes trying things fun, exciting and different to the norm. It was fab to see them giving different things a try and that’s where the inspo for this has come from. Different dips – salsa, guacamole, satay, plum sauce, sour cream and chive, soy and honey, BBQ, garlic mayo… the list is endless, and you can even make it fun by copying the Yo! Sushi idea and giving them a tick list of what they did and didn’t like – Toby loved Salsa, hated BBQ. Reuben liked BBQ and wasn’t keen on Satay. 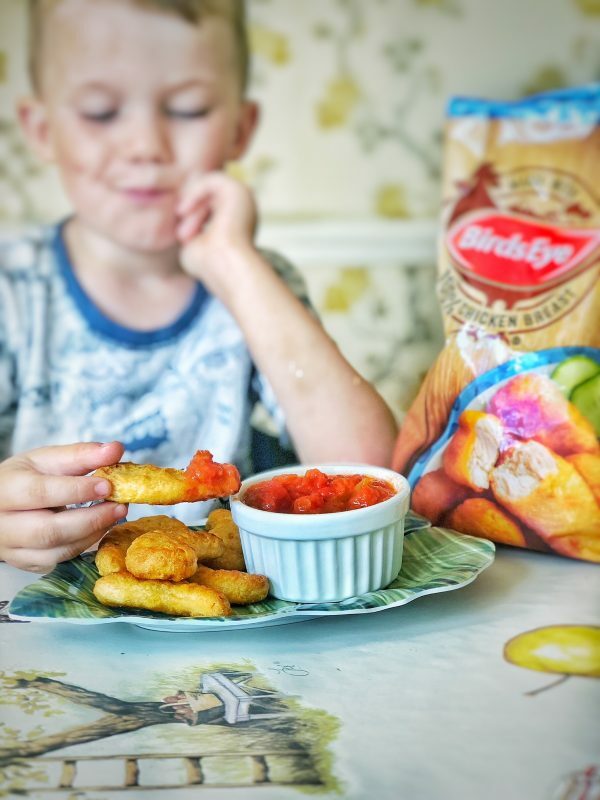 Every child will like something different but in order to come away from the constant ketchup (nothing wrong with it, but lets try something new) I like the idea of trying something totally different. Cook the chicken as specified and then place the dips in little pots on the table for the kids to try. If they have been at school you may wish to plonk some bread and butter on the side of the dish and some chopped veg like cucumbers, carrots, celery etc but it really is so simple. Dips and dippers. Trial and error – with the constant of the dipper that you know they will love. 5 ways to eat Birds Eye chicken that are quick, flavoursome and nutritious! Next Post The Intel NUC mini PC and how we use it! Looks delicious! Birds Eye do some great chicken dishes. Cheers for these handy little recipes Harriet. 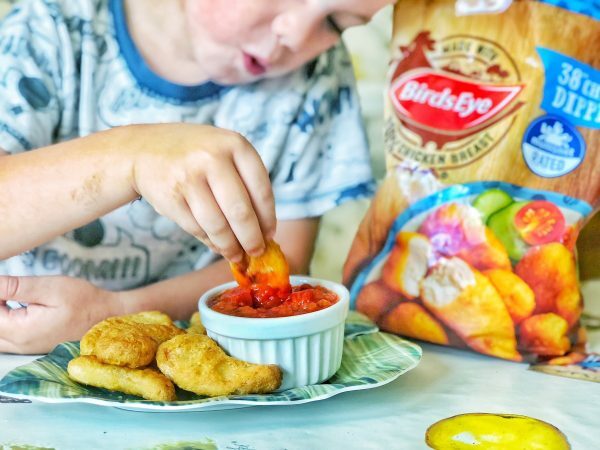 My youngest loves Birds Eye Chicken dippers, in fact other than sausage it’s the only meat he’ll eat. I’m becoming quite consious of the fact that he gets them with most meals, often vegetables and pasta. I’m going to re-pin this so I can mix it up a bit and try these. Also how did I not know they did Peri Peri?